Get more information about Awakenings 2019 including festival tickets, news, reviews and lineups. Forward thinking, London born, Berlin based artist Dax J, is at the helm of cutting edge music, constantly striving to push the boundaries of audio manipulation into new realms unexplored. Label owner of “Monnom Black”, one of the 3 founding members of “EarToGround Records” and releases on seminal labels such as Deeply Rooted House, Mindtrip, ARTS and Fondation Sonore. Dax has seen his music remixed by some of the scenes biggest artists from the likes of Phase, Ryan Elliott, Truss, Shifted, Jonas Kopp and Mark Broom. In 2013 Dax started his own imprint “Monnom Black” a project that has seen music from artists across the globe establishing Dax’s ideal of techno. It has since gained huge support and has become a successful established go-to label for quality techno. Here are the latest Dax J mixes uploaded to Soundcloud. 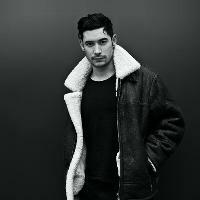 Do you promote/manage Dax J? Login to our free Promotion Centre to update these details.